To celebrate the release of The Dandy Warhols’ new album, The Machine on April 23rd, did a little Q&A with founding member, Peter Holmstrom. 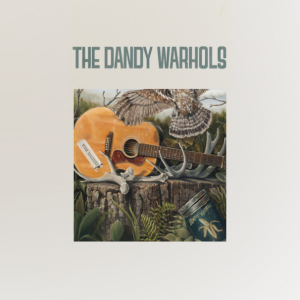 The Dandy Warhols are a veteran band who have given their fans almost 18 years of great music. 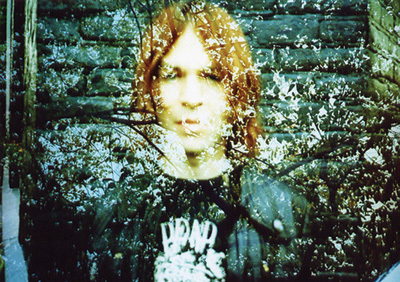 I frankly reached a bit out of my realm to learn from and about Peter, but I wanted to help The Dandy Warhols celebrate the release of their new album, and give everyone a chance to learn from the thoughts of a man who helped indie rock and our beautiful neo psyche generation what it is today. Things get more amazing for The Process Records everyday. No matter what happens in life there is something about this blog and the artists we interact with that is magical. Thanks to Peter for being kind and open. We’re very honored. What is the secret to maintaining longevity as a band and as a successful musician? If you could do anything besides be a musician, what would you do? I’d be an artist of some sort. I was planning on being a painter. I always thought music was out of my reach, but 18 years later it seems like painting is out of reach. What’s your favorite Dandy Warhol’s song? Mohammed. At least it’s my favorite to play. Do you enjoy your bond with the other members of the Dandy’s? Yes, when we get on stage, I know what will and won’t happen. What do you think about the digital takeover of the music industry? I don’t particularly like it. I don’t have a choice though do I? It was easier before it happened, I think. You knew what you were supposed to do. It may not have worked any better than the new model, but there was an obvious path. Have you adapted to it? Sort of. I certainly like how easy it is to find new music. But that takes the fun out of the hunt. Has the new music industry changed the way you interact with fans? Yes. I have direct contact, which works well when I want to announce upcoming shows or release dates for my side projects. But not so well when as soon as we announce tour dates I’m flooded with requests for guest list spots or people wanting their band to open for us. Do you consider your music and band an artistic pursuit, or a career path? The music will always be an artistic pursuit. But the band has to approach things as a career at this point. I don’t know how to do anything else at this point, and I don’t want it to ever end. Tell us a bit about your new album The Machine and your upcoming tour? We decided to make the record sparser, less layering of sounds. That means that each part has to be perfect, it won’t be hiding behind 17 other parts. Because of this sounds are therefore bigger sounding. We also stayed out of Tchad Blake’s hair when he mixed the record. Do you have any advice for young musicians just starting out? Please share!